College-bound juniors and seniors at Prairie Central High School and their parents are invited to explore their financial aid options at a special Financial Aid Night Meeting December 17th, State Representative Dan Brady (R-Bloomington) said today. “College costs are continuing to rise. 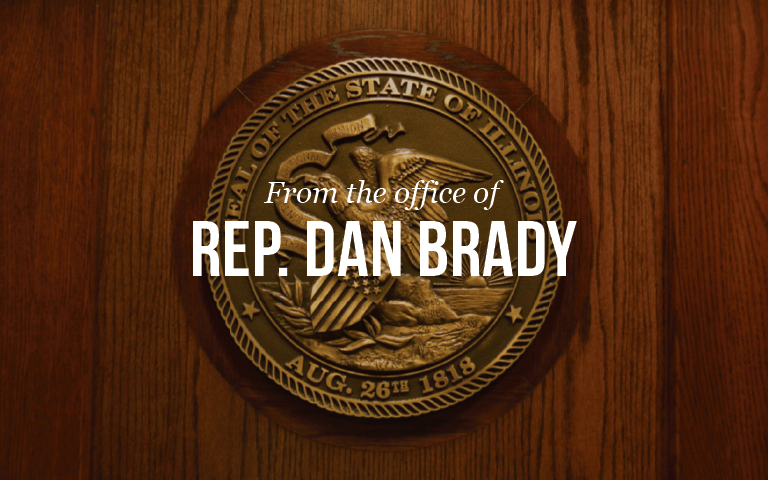 This is a great way for juniors, seniors and their parents to gather information about the financial assistance programs that are out there to help ease the burden,” Representative Brady said. The Financial Aid Night Meeting will be held on Thursday, December 17th at 6:00 pm in the Prairie Central High School Library. It is being presented by Scott Seibring from Illinois Wesleyan University. Representatives from the Illinois Student Assistance Commission (ISAC) will be on hand to provide information on available tuition assistance and financial aid programs. To participate, parents and students must register by the end of the day Friday, December 11th by calling the school Guidance office at 815-692-2355, or by e-mailing Secretary/Registrar Becky Webster at bwebster@prairiecentral.org, or Ann Egleton (students with last names A-L) at aegleton@prairiecentral.org or Mike Quinn (students with last names M-Z) at mquinn@prairiecentral.org.